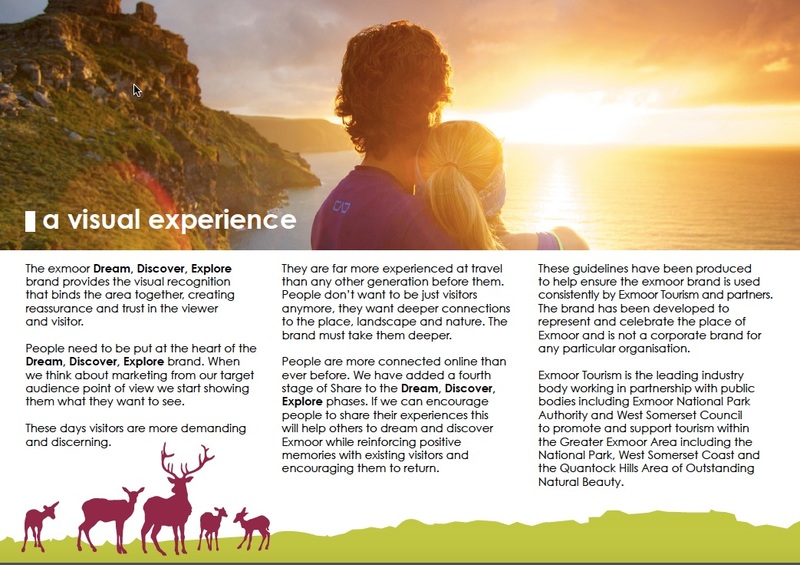 Exmoor is marketed as a tourism destination which overlaps with administrative boundaries. As a tourism product it essentially covers the Greater Exmoor area including all of West Somerset, Exmoor National Park and surrounding areas. West Somerset council and Exmoor National Park Authority are also participating in COOL Tourism, an EU Interreg funded project to promote experiential tourism in rural areas. This partnership wanted to develop the previous brand guidelines into a more professional and inspiring document to encourage greater and better use of the brand. 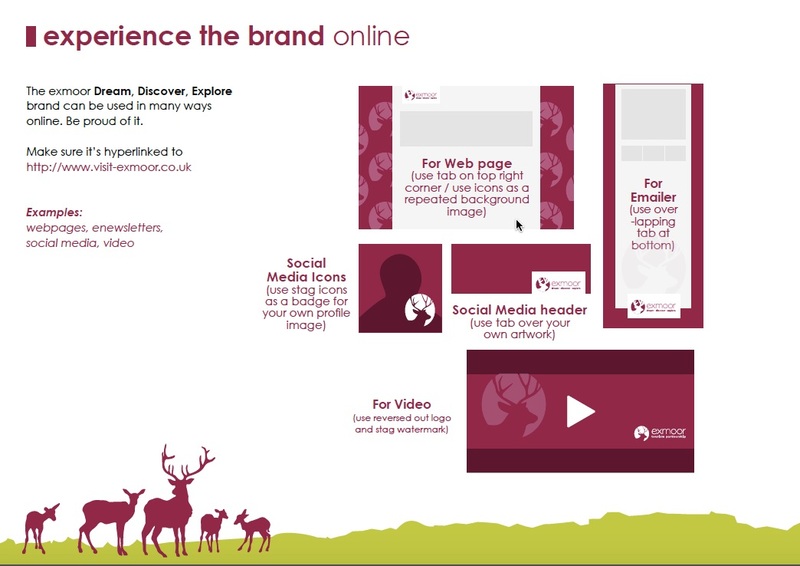 Viper has worked for the past 18 months on the COOL Tourism project delivering digital marketing training for rural businesses and helping to explain experiential tourism by producing the ‘From Special Qualities to Special Experiences’ document and the animated video which brings it to life. ​The most important part of the brief was how to encourage other businesses, with existing brands, to use the logo. From the outset the guidelines needed to be inspire people and present them with options. The viewer needs to see how this area wide brand can work with their own print and online material while presenting the benefits of adopting the brand. The tone of the document needed to be positive, presenting a springboard of ideas rather than a series of negative instructions of hot eh brand should not be used. ​The first half of the document are designed to inspire without constraining - strong use of images with uplifting text is intended to excite the viewer. The details come later in the guidelines. Any destination needs to promote the experiences on offer not just the views. The use of a consistent area-wide brand helps to bring this to life. Our guidelines provide the springboard for businesses to promote the experiences.